One of my goals for this year is to spend more time with my parents. 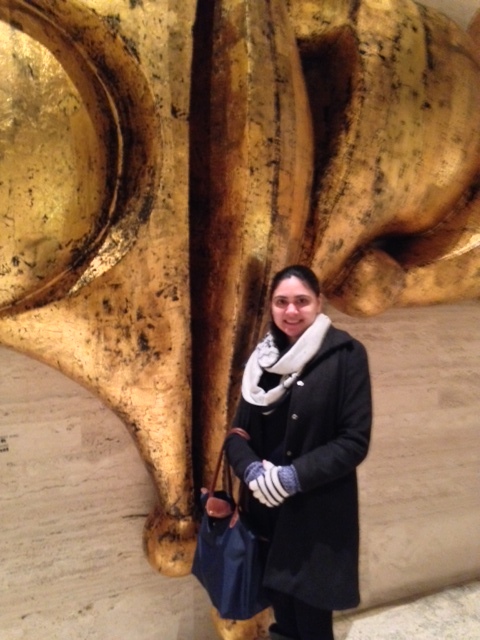 In January, I took them to watch Shen Yun, a Chinese dance and music performance, at Lincoln Center. It was amazing! Full of color and culture. The show had a great combination of old school and modern elements, with traditional Chinese dances and clothes that were breathtaking, and more modern elements that included crafty ways of using video and projection. Each dance or performance told a different story. My personal favorites were the more traditional ones that featured the females in elegant over the top dresses of the time period. One focused on these long sleeves that the women used sort of like ribbons when they danced. The other one focused on these huge platform shoes that they mastered at the time to make beautiful movement. Kudos to the women of the past who made these outfits and styles work, and work well, at the time of their lives! Could not capture any photos or videos of the performances but both my parents enjoyed themselves :). This is an annual performance in NY, so I look forward to next year! 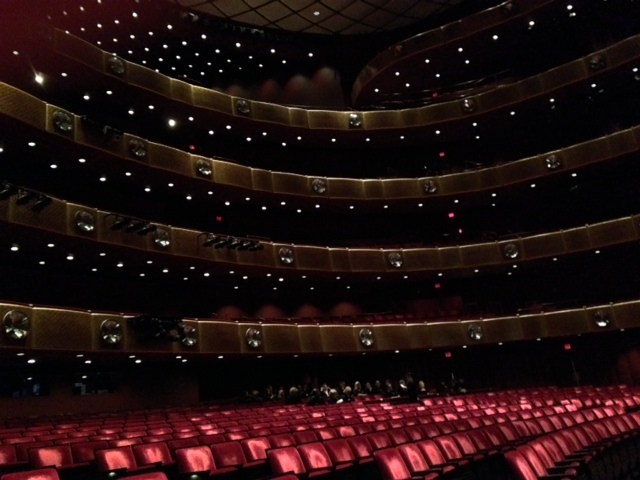 I recently got the chance to enjoy a beautiful ballet at Lincoln Center. I first heard about the experience through Urban Girl Squad, a social networking group for women, they had tickets to Swan Lake this past September. I took the opportunity to go since not everyone is into ballet and I was able to meet new people flying solo. I had such a great experience that once I saw another ballet opportunity they had planned, I signed up immediately. This time around I got to view three pieces choreographed by George Balanchine: Concerto Barocco, Kammermusik No. 2 and Who Cares? The experience included a backstage tour, a Q&A with a dancer and seats to the show. I ran late so I missed the backstage tour but I didn’t feel so bad since I already got the backstage treatment when I saw Swan Lake. There really isn’t much to see, sure it was kinda cool to see the dancers warming up, but the best part was to walk the stage. I studied ballet up to high school so it was a powerful feeling being up on that stage, it made me miss performing. 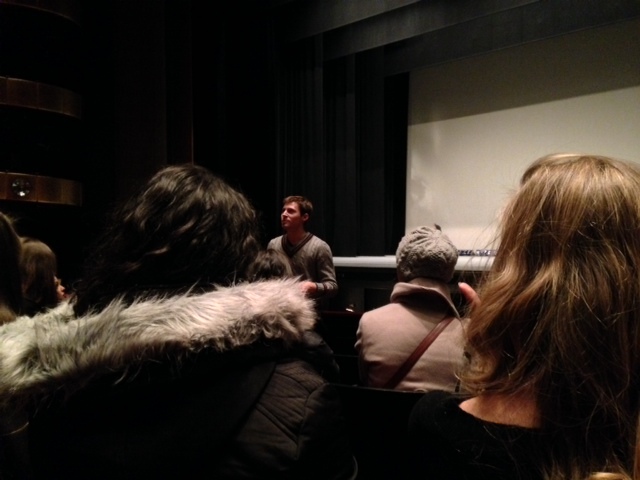 I arrived in time to take part in the Q&A session with a dancer named Troy. He did a great job talking about the three pieces we were going to see and how different they each were. He also gave us tips on what to look out for (mostly formations, which happens to be great to see at my location, third ring) and answered all our questions. The big whammy everybody wanted to know was how he got into ballet. I think stories like that are especially interesting when you don’t expect people to do what they do and I was always fascinated on how men got into the industry. He apparently started on the path due to a love of tap. After Q&A we were given binoculars as a parting gift and an option to purchase food for intermission in advance. The sweet bonus was we also got a coupon for a discount on food and drinks but guess who forgot to bring cash. Would you believe it, vendors only take cash and there is NO ATM in the building. Seriously WTF is up with that! I was starving and thirsty but couldn’t do anything because I had less than 5 minutes to get to my seat and the ATM was apparently blocks away. It’s totally my fault though, the squad warned me about the cash situation but I didn’t read the confirmation email properly. I got to my seat and quickly made fast friends with the women sitting next to me. I used to be really scared of going places alone and starting conversations and talking to people but I think with age and experience I got over it. The performances were absolutely beautiful. I would describe Conceto Barocco as a traditional ballet piece but what made it special was how the dancers wove in and out of each other. There were also so many lovely formations that were made. I was glad to be up in third ring, I totally would have missed it if I had orchestra level seats. Kammermusik No. 2 was def. a bit modern. What I found very interesting with this one was that the dancers made very abrupt movements and used their heels. I’m sure it was choreographed this way but at times it felt like the dancers were off from one another. Troy mentioned that this particular piece was also heavy in percussion but I felt it was heavy on flute. I am not a musician so I have no idea. Who Cares? was very interesting. What I loved about it was that it was very whimsical. The dance was choreographed to be very Broadwayish and it def. was, including all the glitter. It was fun to see the movements the dancers made. My only criticism for the last piece, it was way to long. There were 16 songs and you can only take glitter for so long, other than that I thought it was fun. Overall I had an amazing time. I’m proud that I went by myself and enjoyed myself. Although I did end up talking to my neighbor, I could have easily been by myself and I would have been fine. It has taken me awhile to be that comfortable though. My view during the private group Q&A session with a dancer. Isn’t it haunting empty?? Troy giving us details on what we are going to see. Me by a statue…sadly my photographer didn’t know how to get it in the picture LOL. Street artist, JR did an amazing installation of the dancers on the lobby floor. How cool is that?? I totally would have laid down for a pic but I was in a dress. In total I spent approx. $68 that night ($48 for the ticket and $20 for a cab), not bad for a ballet!